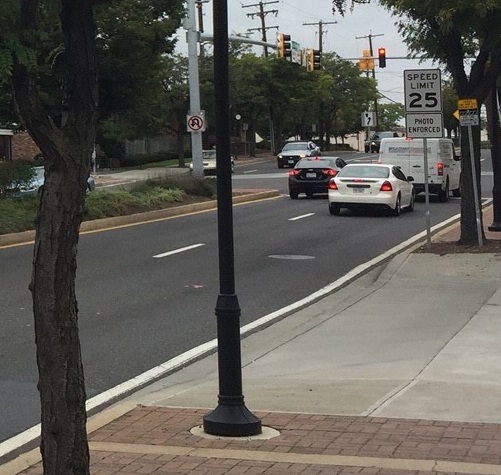 WJLA has reported that the City of College Park issued 685 erroneous speed camera citations which will now need to be refunded. Motorists had received citations in September from a speed camera located on Baltimore Avenue (rt 1) in College Park for violating the 25mph speed limit. However the speed camera was in fact located before the 25mph speed limit sign and was actually within the 30mph zone. College Park initially agreed to refund 5 citations from motorists who had complained about the citations. However two weeks after being contacted by a reporter from WJLA, the city agreed to refund 685 tickets. Photos provided to the Maryland Drivers Alliance by one motorist showed the original location of the speed limit sign. 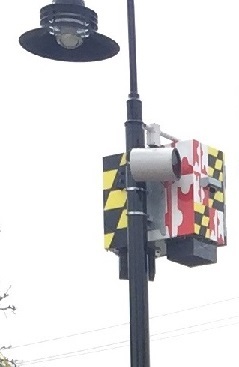 The camera was located atop a pole in the 30mph zone before the start of the posted 25mph zone. 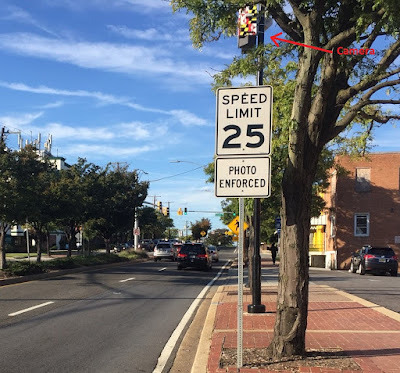 After being contacted with complaints form motorists, the speed limit sign was moved the absolute minimum amount in order to place the camera inside the 25mph zone.. This concealed speed camera is now located atop a pole located just a few feet beyond the new 25mph speed limit sign location. It is not yet known whether the city continued issuing citations immediately after the speed limit boundary was suddenly moved. The camera had been configured for a 25mph speed limit for approximately one month. During that period of time, operators would "sign" daily configuration logs stating the device was correctly configured, without ever detecting that the device was configured with the wrong speed limit. College Park has had issues with erroneous citations in the Past. Last year we reported that College Park had falsely accused a stationary University of Maryland Shuttle Bus of speeding. We also reported on numerous examples where College Park had cited the wrong vehicle. In 2011, a motorist successfully disputed a speed camera citation from College Park, using data from the "car chip" in his vehicle which recorded that his car had not in fact been speeding.